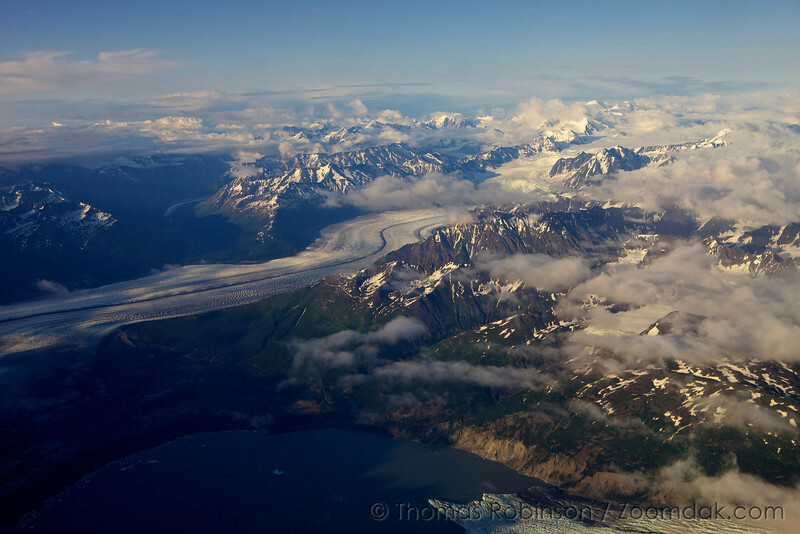 The Harvard Glacier flows down from the Marcus Baker mountain peaks in the Chugach Mountain Range into Inner Lake George and the Knik Arm near Anchorage, Alaska. Harvard Glacier is 300ft thick and covers 120,000 acres of Chugach National Forest. Quite the epic landscape of mountains, clouds and ice!